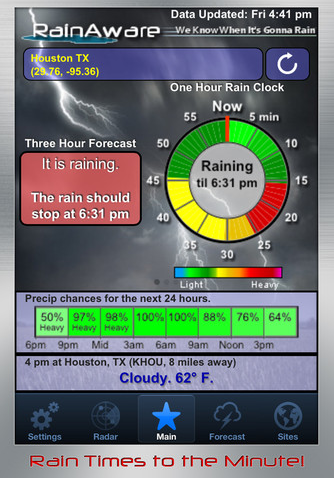 The Minnesota Forecaster: RainAware App: Rain Predictions to the Minute? I haven't yet tried RainAware but I will definitely check it someday! I'm going to move to Seattle and I guess this app will be more than useful as it rains all the time there. Thanks for the information!